The big day comes and we meet at the top of Beards Hill. Chris pulls up in his huge welding truck. Becca hops out of her huge truck- beautiful, curly auburn hair, white dress, finished off with cowboy boots. It’s obvious Chris has met his match. She thinks we’re just here to get nice pictures of the two of them; he knows his life is about to change once we get to the bottom of the hill and I give him the signal. It rains on and off the whole time. We have the whole hills to ourselves and hide out under the canopies. When we reach the bottom the rain kicks up the mist, but this is the moment, and nothing else matters. We convince her this will probably be our last stop, and to just wait while we get everything set up. Chris knows his cue- I tell him to “pose” on one knee. Becca looks at me and at him as if that’s the most awkward pose I could suggest until… the ring comes out. After that there was a lot of yelling, squealing, laughing, kissing, and hugging, but the best part was when she was so in shock she turned around to run away and found herself with nowhere to go on top of the rock. Here's a taste of what we mean.. It was a beautiful moment to watch unfold. To be asked to be a part of it was truly magical. You can’t help but smile the whole time, to the point of your cheeks hurting. We ended the shoot right where we started, back on top of the hill. Many others wouldn’t be able to tell the difference between the shots, but they will always be able to. It’s the moment they went from being boyfriend and girlfriend, to an engaged couple, soon to be husband and wife, forever. Check Out Our Full Love Gallery! 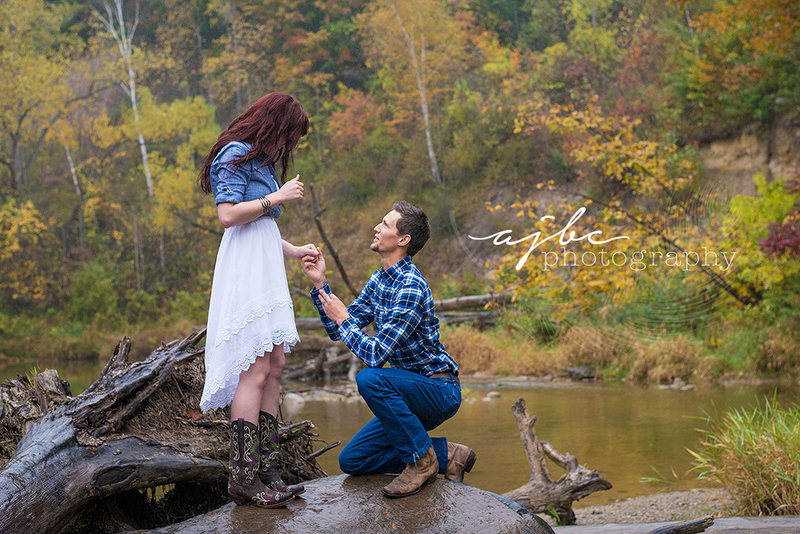 For More Country Romance Check out Brad & Melissa's Backroad Photoshoot! 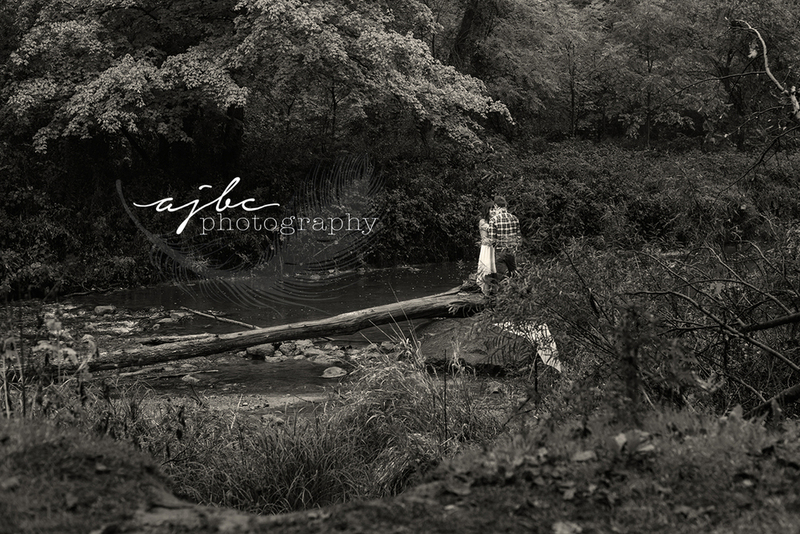 For The Lovely Outdoor Feel, Check out Bridget & Russell's Engagement Photoshoot!